Staying Seated for Lunch? Use Delivery Service for Lunch! 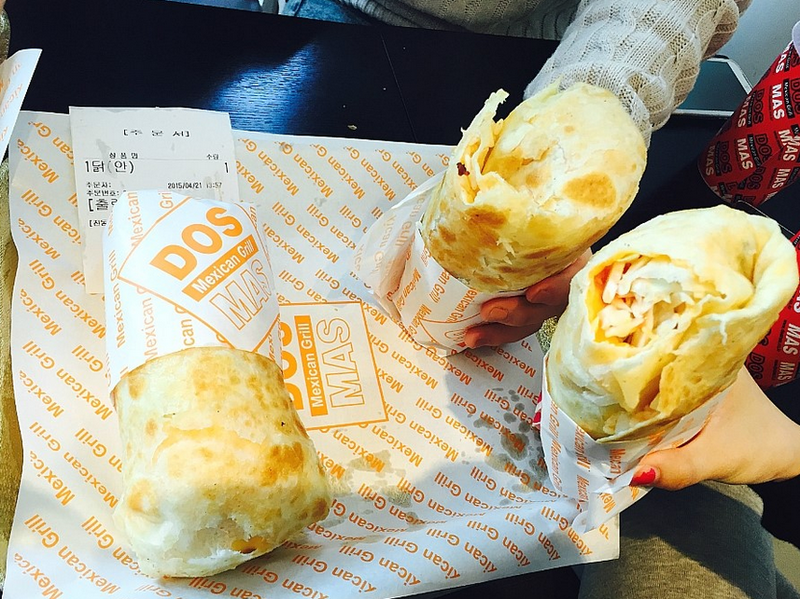 Dosmas is a restaurant that sells burrito. 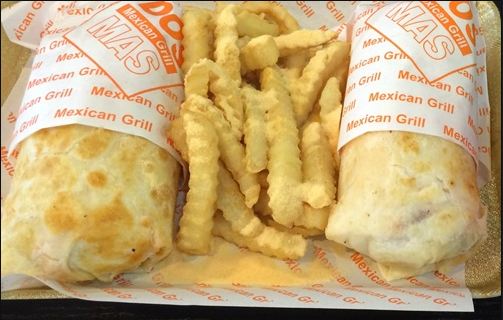 There are some option of burrito that you can choose. Basically, you can choose beef or chicken or mixed one. If you want, you can add some cheese or choose the kind of cheese. There are some set menu(combo). You can choose combo that provide beverage (but if you use delivery services, you can’t choose the kind of beverage. It’s always coke) or potato chips or both of them. Korea students usually eat Chinese food if they want to use delivery services. 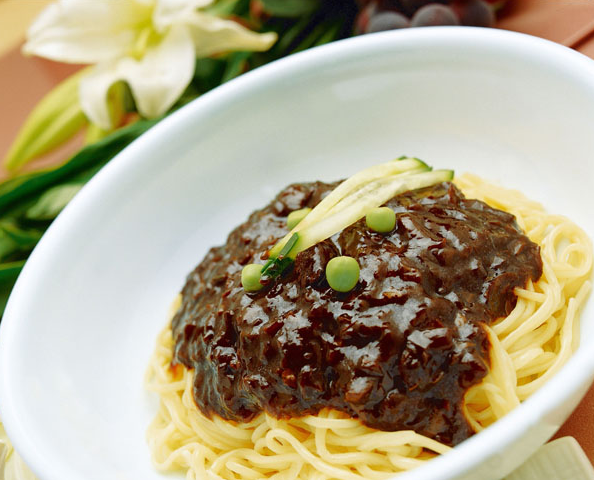 The menus are black bean sauce noodles(jajangmeon), Chinese-style noodles with vegetables and seafood(jjambbong), fried rice with black bean sauce and sweat and sour pork. 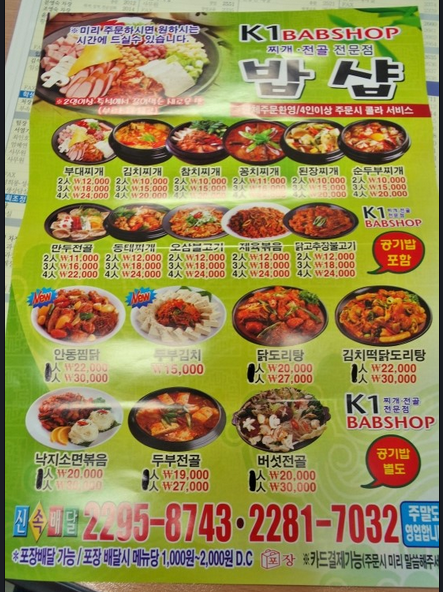 There are more menu but these are the menu that usually Korean students eat. How to use Delivery services: You can order by calling. Just say where you are and your choice. Oh, there is something important. If you want to pay by credit card, not cash, you need to say about that to them. There are lots of Chinese restaurant that provide delivery services. You can find their number by search on the internet. The editor’s favorite restaurant is Dae-yeon-gak (대연각). Its number is 02-2281-8555. Maybe you are thinking now why this restaurant’s name is “Bob Sapp”. Actually I don’t know why. Anyway, Bob Sapp sells some kind of stew like kimchi stew or chicken stew. This restaurant has unique thing that when they provide delivery services, they bring portable gas stove. They put all cooking material in the pot. When they bring them to you, you just fire the gas stove, boil them and eat them. How to use delivery services: It is same as Chinese restaurant (actually only Dosmas uses the message system). Their number is written on the picture. Yeah! Fried Chicken! Korean love fried chicken. There is a joke that chicken is always right J Like Chinese food, there are many restaurants that sell chicken. Among them, I want to recommend “No-rang tong-dak(노란 통닭)” that means yellow chicken. There are fried chicken, spicy one and soy sauce one. There are some set menus like fried chicken and spicy one or fried chicken and soy sauce one or spicy one and soy sauce on or all of them. Their dishes are very crunchy and delicious. You can also order beer. However, most fried chicken restaurants open late. So I want to recommend eating this when you have lunch late. How to use delivery service: It is same as Chinese restaurants.